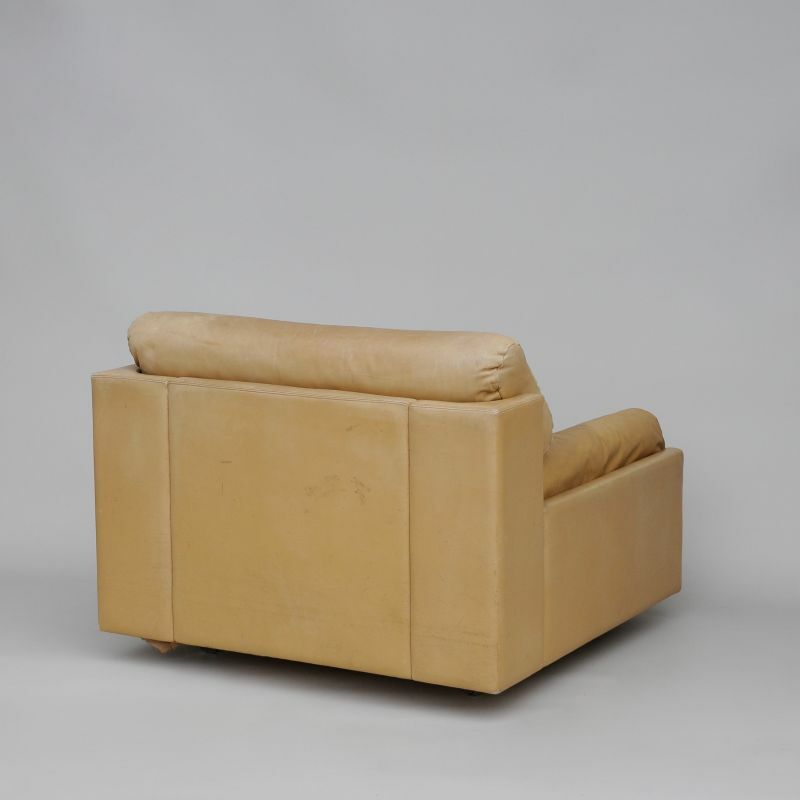 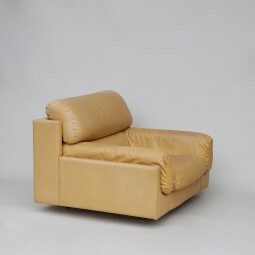 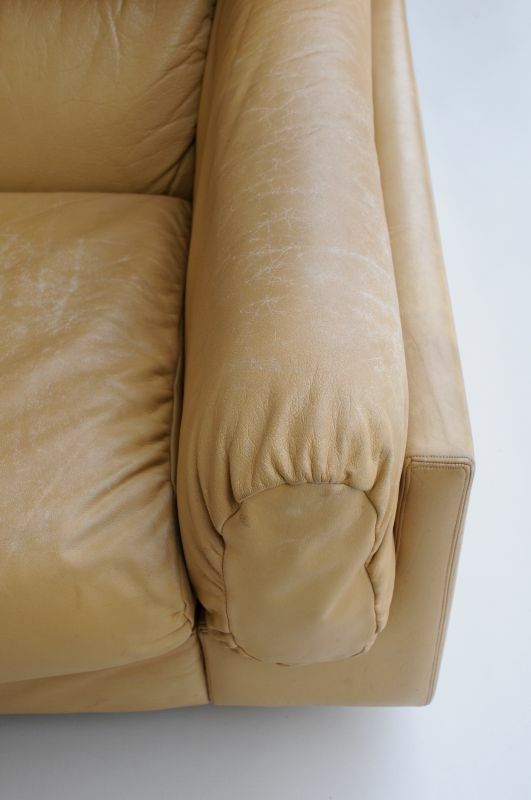 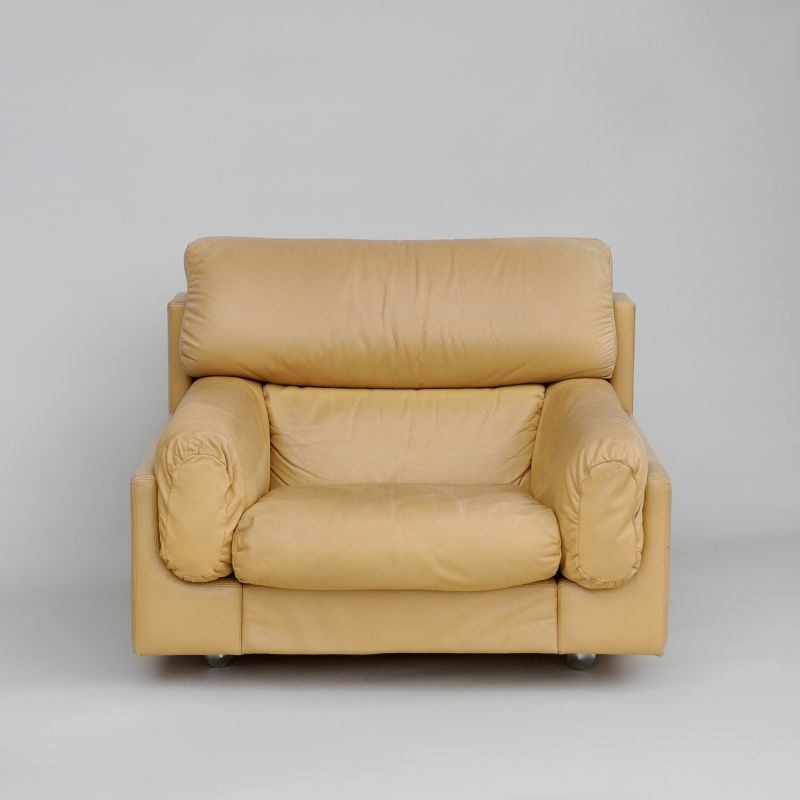 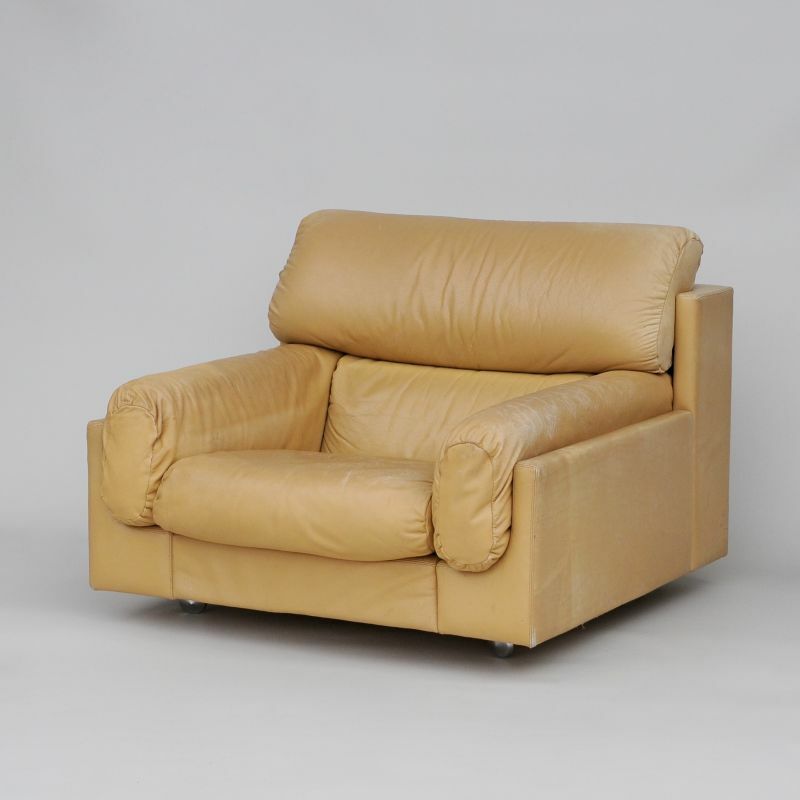 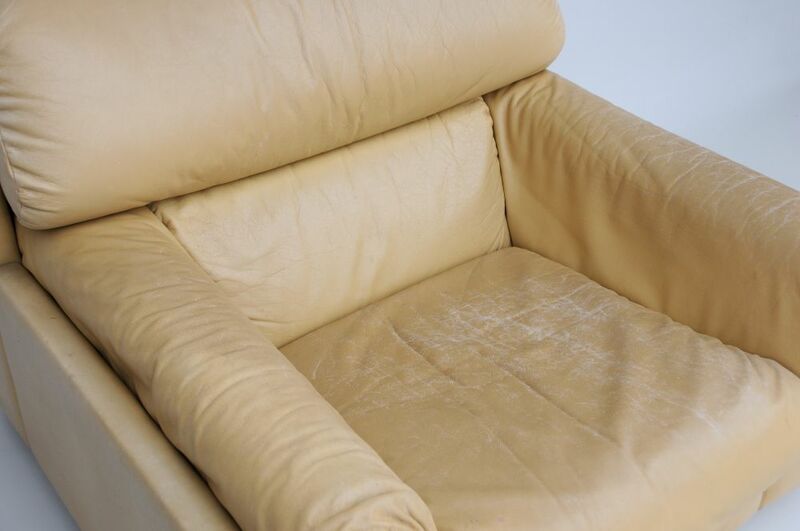 This is a large armchair in a creamy coloured leather from the 1960s. 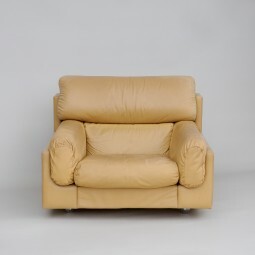 It appears to just hover above the ground, but is in fact on four chrome casters. The armchair has great style: modern, boxy, low and very comfortable, the type you can slump down into and watch a long film or Match of the Day. 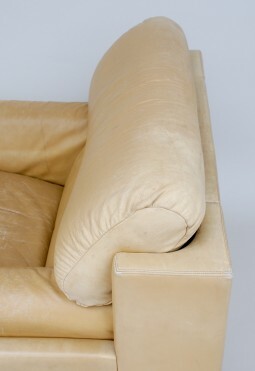 The back is low but high enough to rest your head because the seat is deep. The lumber cushion always makes a chair comfortable. 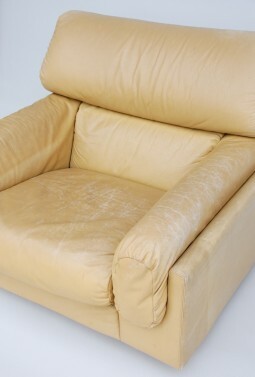 The measurements are 100 cm wide, 100 cm deep and 70 cm high, the seat is at 30 cm.